My time has been spent looking at buildings and context. I was interested in looking for inspiration that helped define the work of local architects who were interested in drawing on the past to help shape the future. 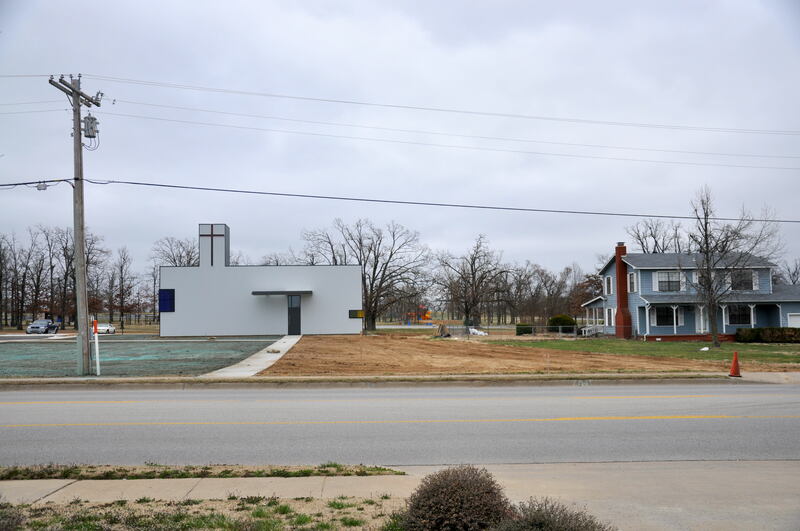 In one of my conversations with Marlon Blackwell, I asked him how his work was received in this community; Did they care that he has an international reputation, won loads of design awards, and was the current Head of Architecture at the University of Arkansas? That this seems like an outwardly traditional community, not demonstrative, and that there are very few things that seem to intentionally draw attention to themselves. Marlon’s work, by it’s very nature, stands out. Marlon told me that he works from the traditional shapes of buildings that people already see here so they recognize that in his work, that it doesn’t look like it landed from outer space. I’m not so sure I would have come to the same conclusion but I don’t know this area and it’s people very well. So I went out looking at older agrarian buildings to see if I could recognize some of the shapes. In some cases I could and in some cases I couldn’t (but I am no Marlon Blackwell). I did, however, find scale and material similarities, simple forms, spaces and volumes that were dictated by programming and a combination of the previously mentioned items. I am going to need some more time to review what I have seen and take some time to do some reading. I did find most of the work inspiring. You can see the attention to scale Marlon puts into his projects, the palette of materials, his critical study of light – these things are obvious to anyone who stops and looks. The study of the forms, the positives and negatives, masses relocated, rotated and slipped into new positions – that will take more time (and sleep). I would like to thank Marlon for taking time out of his busy schedule to accommodate me and my questions – he gave me more time than I expected. He set up a PowerPoint presentation for me (several actually). At one time, he took a phone call while I finished watching the slide show; he was talking to a client who was trying to decide who to hire, Marlon’s office or another firm. Marlon’s design inspired the client but the other firm addressed the specific functions of the programming. What to do? When given that choice, I choose inspiration. Can you imagine the different conversations the client would have between the two architects? Your design is really inspiring, can you make it more practical? versus Your design is really practical, can you make it more inspiring? Inspiration is important to what we do and I think the client will come around. If you were to ever meet Marlon you would like him, it’s really hard not to….Here are some photos of Marlon’s work and some local context. I will try and isolate some specific projects later. Right now I’m tired and don’t have the brainpower to do this (and this post is really rambling).